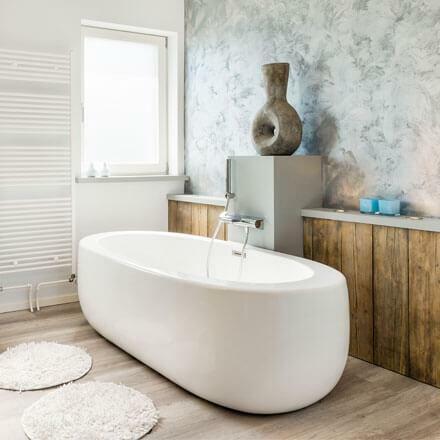 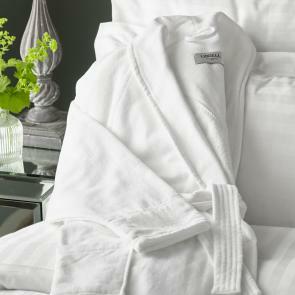 With a combined knowledge and technical expertise spanning over 100 years, Vision knows a thing or two about bath linen. 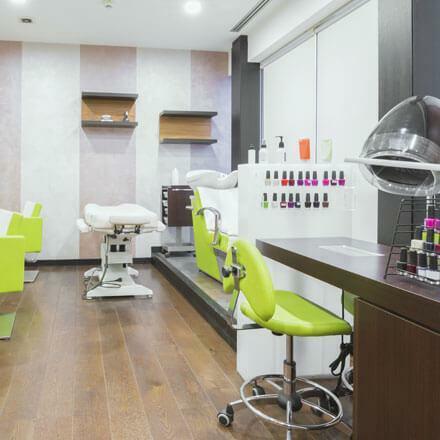 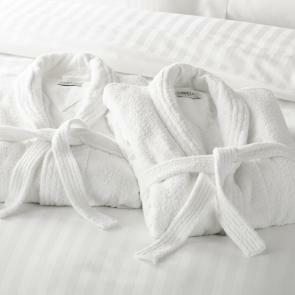 We’ve supplied luxury bathrobes to the leaders in hospitality for over 100 years, and through our three leading product brands we’re experts in providing true indulgence to a range of venues, be it a luxury hotel, a small B&B or a heavenly spa. 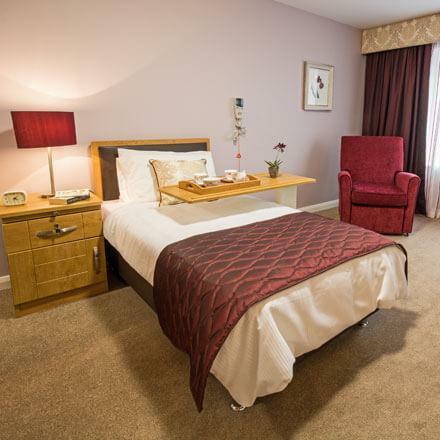 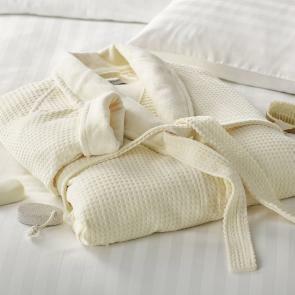 Our hotel quality bathrobes are made from the finest textiles; all master crafted from fabrics such as cotton towelling, polyester microfibre and polycotton blends to create linen robes which are sumptuously soft to the touch. 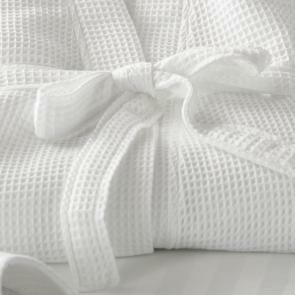 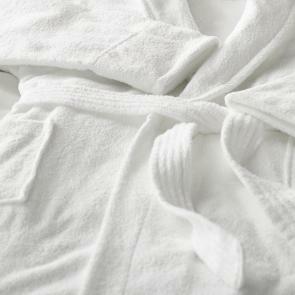 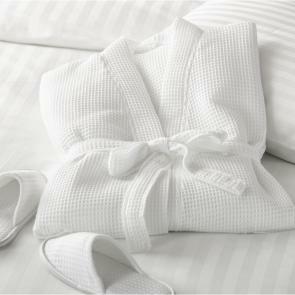 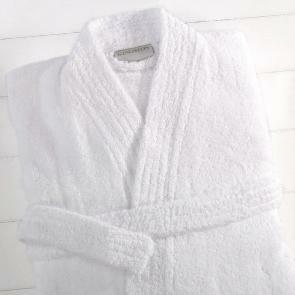 Our lightweight robes feel extraordinarily opulent and add a touch of class to any guest bathroom space. 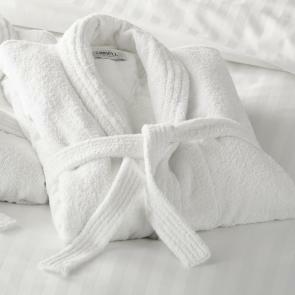 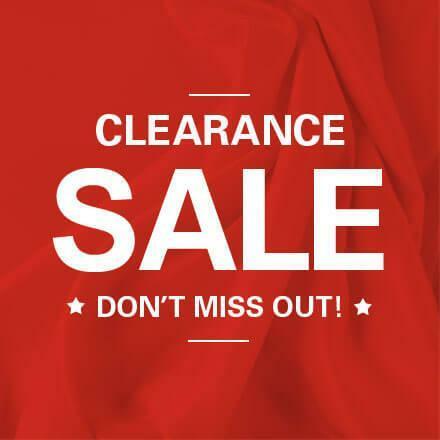 Create that feeling of five-star luxury in an instant with a wide range of towelling or spa robes, with prices that fit all budgets and a durable and long lifespan. 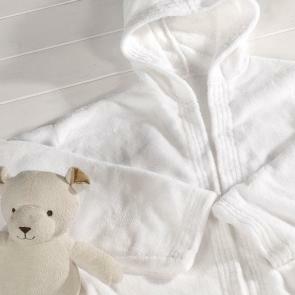 Explore our collection of plush robes today.